Home › Christy Marie's › Batter Babies! 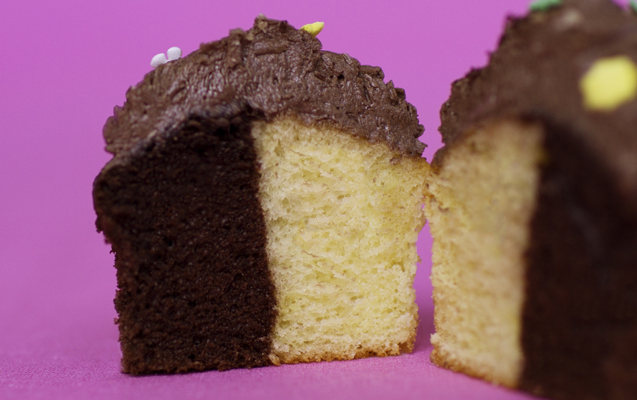 Love chocolate and vanilla cake and sometimes feel guilty for eating two cupcakes? Wish you could have the best of both flavors? Well now you can! Bake one of a kind cupcakes containing two flavors and/or or colors with Batter Babies! These dividers fit right in your cupcake cups and pans and divide your batter perfectly! Want to color your batters to match your party theme? 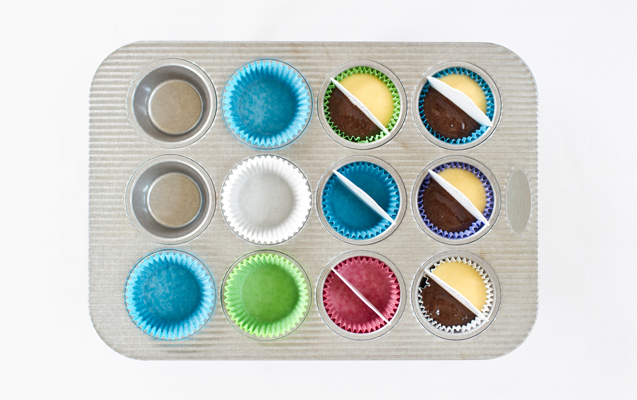 Easily color your batter and use these babies to create two-color cupcakes! Your cupcakes will sure to be the talk of the party! 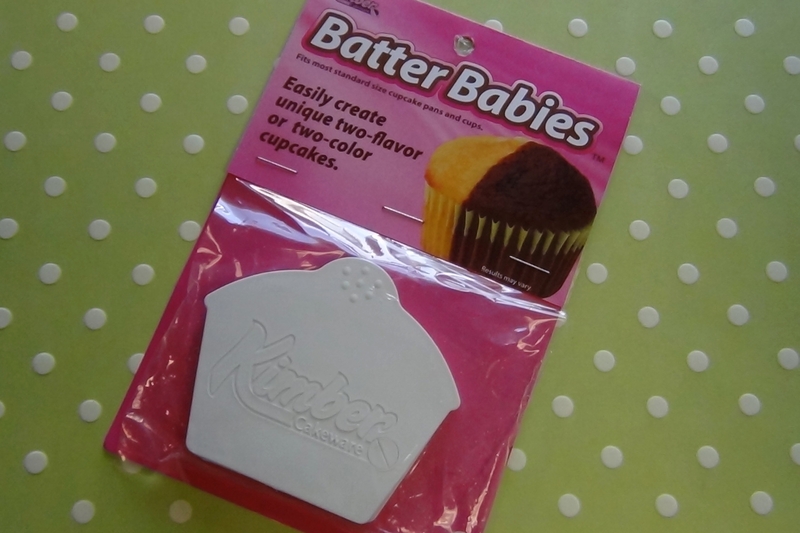 Batter Babies fit most standard size cupcake pans and cups. Made from a foodgrade plastic, they are reusable. Dishwasher safe.